Most consumers have always been taught to shop goods and services based on price. In the mortgage industry this can be very elusive. There are many factors that determine the “Price” of a mortgage, that are often too complicated for the basic consumer. The easiest formula to determining price on a mortgage is a combination of the interest rate and the costs associated with the loan. The problem with this equation is that the price is ever moving. You could do all your homework, call 10 lenders get your quotes and by the time you are all done the prices have moved! Now, let’s talk about our ability to determine the price. Many consumers get confused when discussing “closing costs” because they often mistake pre-paid items for costs and tend to focus more on the “settlement charges” rather than the actual costs. I’m going to give you a little tutorial I often give to my clients and even then not all people will completely understand. As well, when you are given costs up front they are only an estimate! The actual costs of your loan are determined at the end of the loan process, so that all the due diligence you did in the beginning didn’t even provide the actual costs. I know this can be a lot to handle, so bear with me and give it a shot. When you close on a mortgage, at closing you must pay for all settlement charges. For refinances, settlement charges will consist of both closing costs and pre-paid items. On purchase transactions you can add adjustments to the total settlement charges. Let’s start with closing costs. These are costs you pay to obtain the mortgage. You pay the fees and never see that money again. 95% of all fees can be determined up front, but some costs are not actualized until the loan has been completed, such as actual recording fees or complete title costs. Sometimes a lender may ask for an appraisal review during the underwriting process which would add to your costs after the initial estimate. Things like these are why actual costs can differ from original estimates. My saying is your Good Faith Estimate is only as good as your loan officer. Pre-paids items are not costs. Repeat, pre-paid items are not costs. Pre-paid items consist of three items, interest, taxes and insurance. These items are expenses that you would need to pay no matter what, however the lender is requiring you pay some of these expenses in advance. Most pre-paid items are associated with setting up an escrow account, however pre-paid items exist regardless of whether or not there is an escrow account. Pre-paid items will be what they are no matter what we estimate them to be. A good loan officer will be able to give you an accurate estimate of pre-paids, but the truth is most loan officers don’t understand it either. They use a basic formula for estimating pre-paids separate from the actual transaction which is never 100% accurate. So when shopping for a mortgage, my advice is to ignore pre-paid items if you can tell the difference between a cost and a pre-paid item. Pre-paid money is your money and always is your money, pre-paids are used to pay your taxes, insurance or interest which would have to be paid no matter what. Sounds confusing right? Well it can be! Adjustments are items on a purchase that are paid back to the seller for misc. costs and reasons. Example, you purchase a home where the seller has oil heating. There is a 100 gallons of oil in the tank, so the seller requires that you adjust back to them for the cost of the oil in the tank. This will be money you need to provide at closing that wouldn’t be part of your loan estimate because it has nothing to do with your mortgage. So don’t think the costs of your mortgage changed because you needed an extra $300 at closing for this adjustment. Alright, now let’s talk about rate. When a rate is quoted to you, it is quoted based on many factors. If one of these factors changes during the process so does your “Price”. I will provide a list of factors that can affect rate and I’m sure I might leave a couple out, but these are the main ones. Credit, your credit score will affect your rate. Also, your credit score can change if a new report is needed on top of the initial one used for the price quote. Sound familiar anyone? LTV: Loan to Value. The equity position at which you borrow is major component of your “Price”. If the estimated value of loan amount changes from the initial estimate so does you price. Here’s a tip, when shopping for a mortgage ask your loan officer at what equity position is your loan be quoted at? By estimating the value of your home high, I would be able to quote you a lower rate. However the final rate will be determined by the actual value. Value change equals rate change. Property type. You get a quote for a mortgage and your loan officer assumes a single family home. However you want to buy a 2 family home, well this changes your “Price”. What you do with the loan proceeds can change your price. Use money from your mortgage to pay off credit cards and that’s right your price can change. Whether or not you set up an escrow account can change your price. Really? yup. Don’t escrow for taxes and insurance and watch your price go up. And many more factors that can affect your price. Now you can see why the the elusive “Price ” of a mortgage can be a daunting task to obtain. That’s why consumers should not only be educated on what they are buying, but also need to know they are working with a professional who knows what factors to look out when quoting a “Price”. Most importantly, rates change all day every day. Our mortgage prices can move throughout the day and are issued every morning. So the loan quote you got on Monday may not be valid Tuesday. You are never guaranteed your rate until the rate is locked in, and if one of your factors change so does your locked in rate. Just because the rate is locked doesn’t mean it can’t change during the underwriting process. My only advice is seek a true mortgage professional who you can trust. Don’t think because you are going to a BIG BANK that they will have everything right. Employees at BIG BANKS don’t always know what they are doing. BIG BANKER BOB may have funny commercials and sleek letterhead but know, you are being put through a process and not being dealt with on a one to one level. Corporate process’s can get things right but they can also get them wrong. And if you’ve ever dealt with a big corporation who got things wrong and something was outside the PROCESS, you know how frustrating it can be to get it fixed. Try to absorb some of this knowledge and I will follow up in a couple of days. Please feel free to post your questions to me, as I may make an attempt to have you better understand. Knowledge is not knowing everything, but it’s knowing how to obtain the facts!! Excellent posting, full of knowledge and very simple to explain all these really make a simple man to understand very easily. I have gone through the complete writing and impressed very much. Basically I am a good follower of any mortgage related information and working for mortgage related services for the last 4 years. Your explanation about pre-paid costs before the loan gets closed will really help people like a guide. Actually the closing phase of the loan means approval of the loan and the beginning of the servicing part. You explained about LTV (Loan to value ratio) which is very much important part in the loan process. 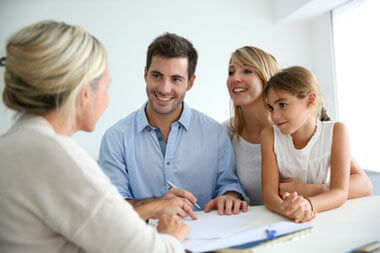 Your post will definitely help lot of people in the mortgage loan industry. Your post provides an opportunity to learn more about this industry.